Thinking about how Abraham and Sarah were friends of God we made three friends holding hands from folded card. Draw an outline of a person on the folded card so that its hands reach to the folded edge. If the feet reach to the edge too then the people will stand up more easily later. 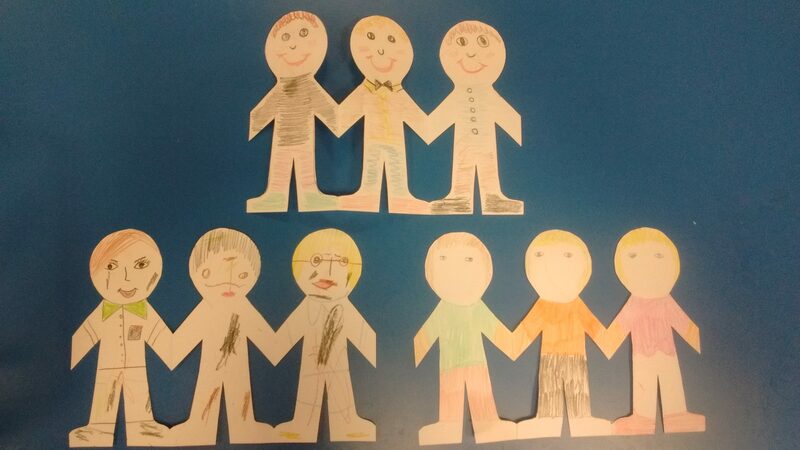 Cut round the person so that you get three people who are all holding hands. 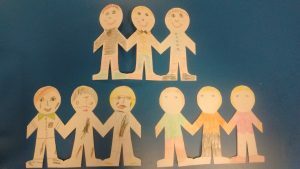 The children should draw faces and colour in the group of friends. You could glue on paper clothes instead of colouring.